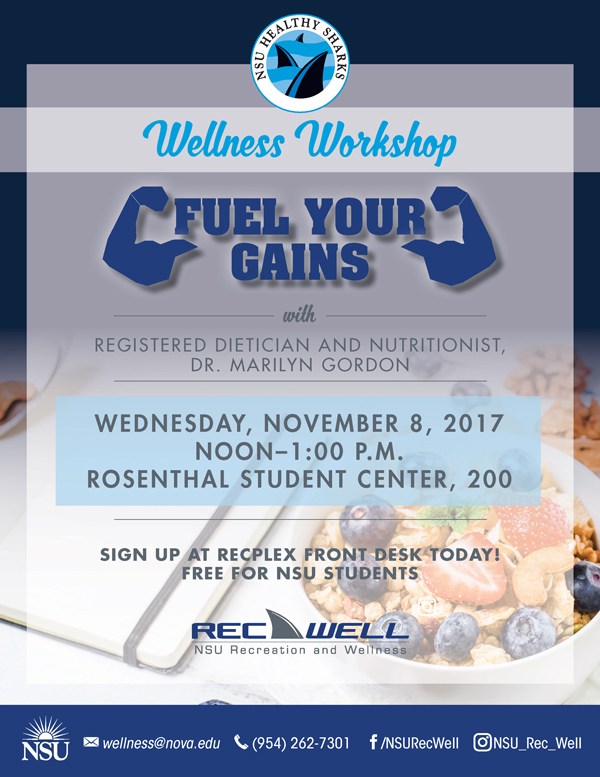 Join RecWell and registered Dietician and Nutritionist Dr. Marilyn Gordon for a wellness workshop. 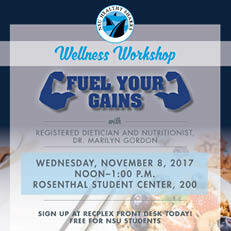 Sign up at the RecPlex front desk today. 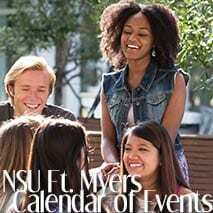 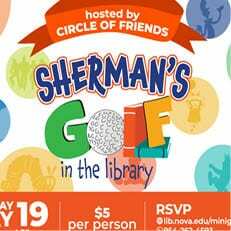 Free for NSU students. 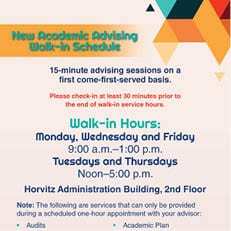 If you have anything questions, contact wellness@nova.edu.